I’m not a trained financial type but I continue to hear about IFRS (International Financial Reporting Standards) accounting and how it will change your business. In a nutshell, globalization forces commonality with accounting rules. It’s all about standardization. GAAP (Generally Accepted Accounting Principles) has been dethroned. Ten Minutes on Transitioning to IFRS . All US businesses must be compliant beginning in 2014. To date, more than 12,000 companies in nearly 100 countries have adopted the use of IFRS, including over 40 percent of the Fortune Global 500. While the standard is being adopted globally, the Securities and Exchange Commission (SEC) estimates that U.S. companies will spend approximately 0.13 percent of their revenue on the transition to IFRS from U.S. GAAP in the first year of filing. 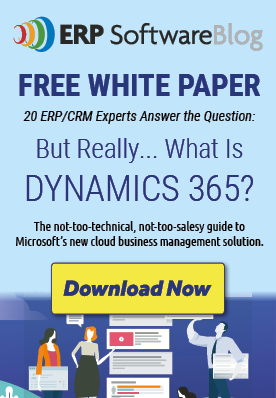 Microsoft is addressing this issue with Microsoft Dynamics GP (Great Plains). Download the white paper titled Compliance, International Financial Reporting Standards for more information. Thank you for the awesome financial advice. It has given me a lot to think about. I will have to tell my family and friends about this. Thank you once again! Intimately, the post is really the best on this noteworthy topic. I agree with your conclusions and will thirstily look forward to your upcoming updates. Saying thanks will not just be enough, for the wonderful clarity in your writing. I will instantly grab your rss feed to stay privy of any updates. Gratifying work and much success in your business enterprize!